This was the third leg of a non-stop four flight itinerary from Galapagos to Easter Island (2 ticks on the bucket list! 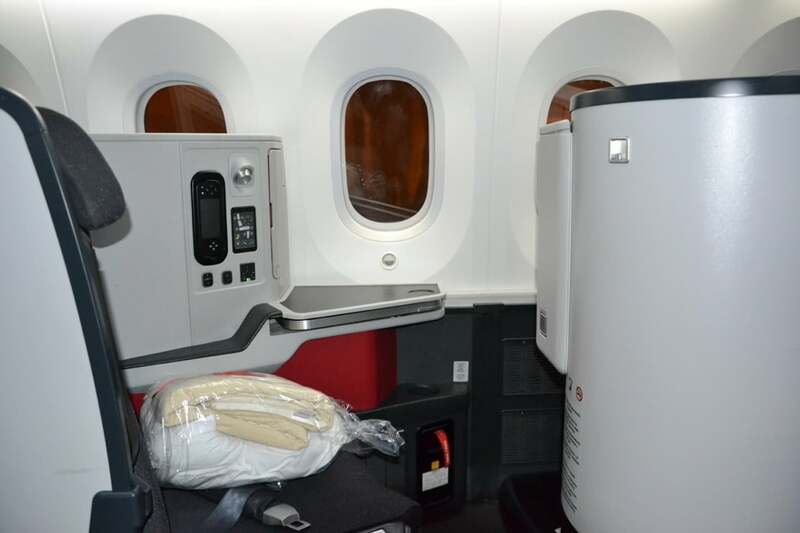 ), which provided us the opportunity to compare the business class offering of Avianca and LATAM on our favourite plane, the Dreamliner (Boeing 787). The Avianca flights were booked as part of a fantastic value itinerary using Singapore Air miles (transfer from American Express or SPG points) – just 40,000 miles for return business class flights anywhere within South America. 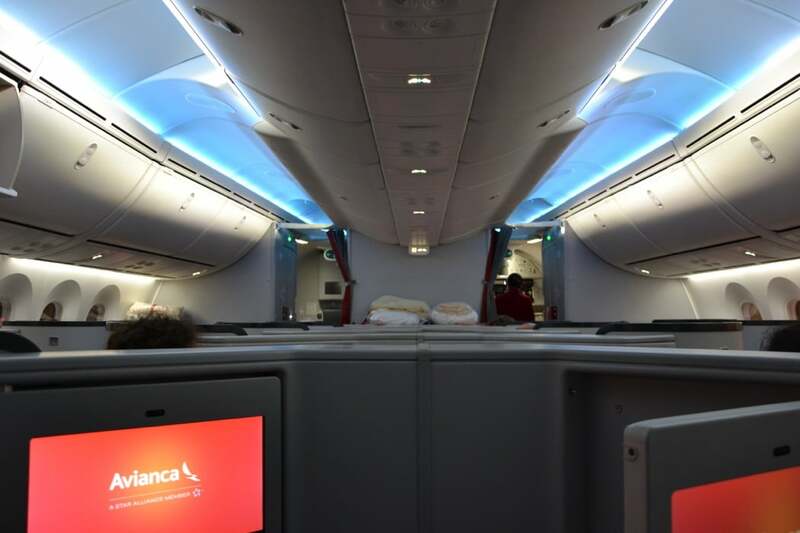 After 2 short, relatively comfortable hops on Avianca’s short-haul business class, we were looking forward to having a lie-flat bed for the overnight flight to Santiago. We stopped by the lounge to grab a soft drink and a salad prior to boarding – this was a pretty standard lounge but the make your own salad bar was a nice touch. Then, it was over to the gate where we had a 15 minute wait for priority boarding to start. 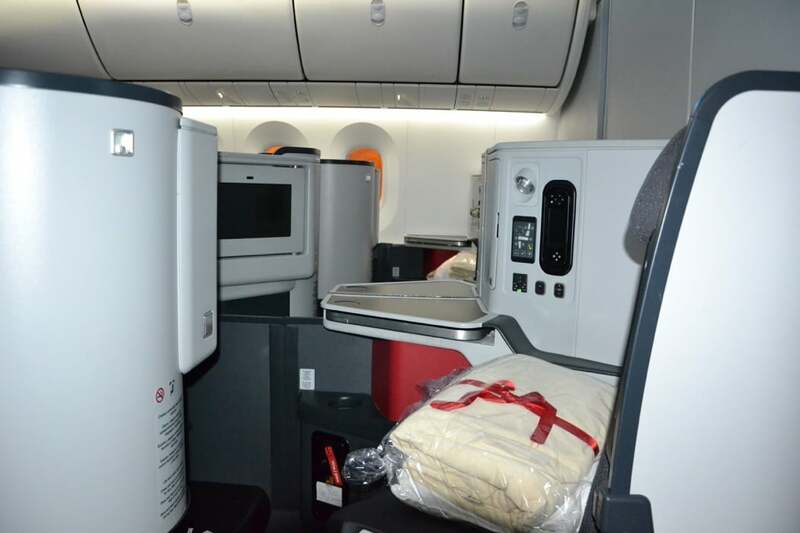 Once onboard, we were pleased to see the new reverse herringbone seats, arranged in a 1-2-1 configuration, with all seats benefiting from direct aisle access, similar to Cathay Pacific, Etihad and other premium carriers. 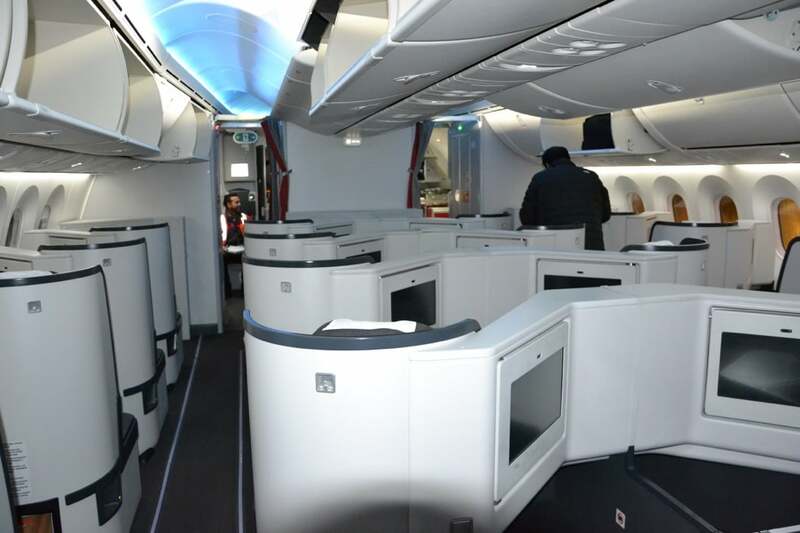 The business class cabin is split into 2 cabins with 5 rows in front of the galley and 2 rows behind. We had chosen a middle pair in the back of the main cabin, so as to have a reasonable distance from economy and little foot-fall during the night. For single travellers, any of the window seats provide a high level of privacy. 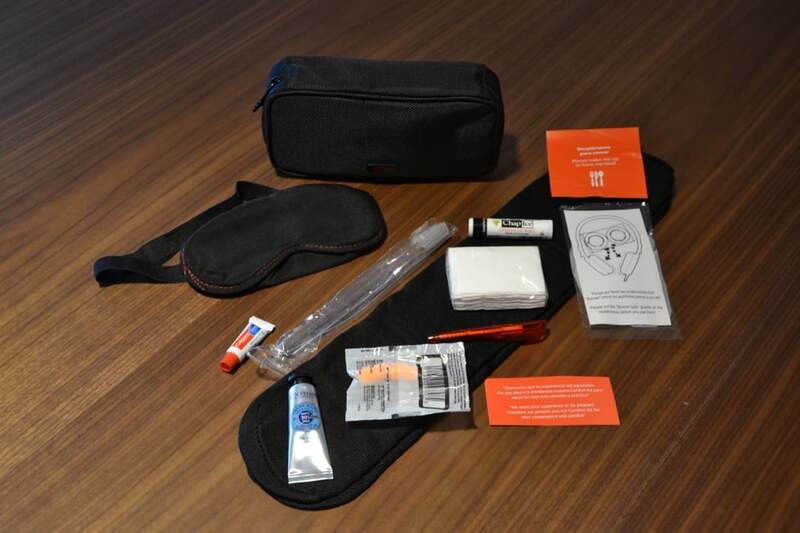 All seats offer plentiful storage, including a special compartment for the provided head phones and amenity kit. 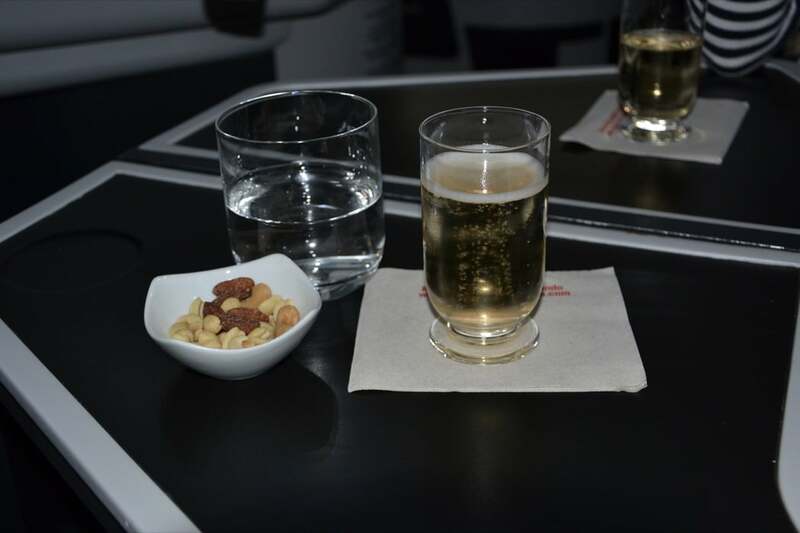 Although this was an overnight flight, a full service was offered – prior to take-off, the crew offered newspapers, magazines and a choice of pre-departure beverages including orange juice and sparkling wine, served with a small portion of mixed nuts. 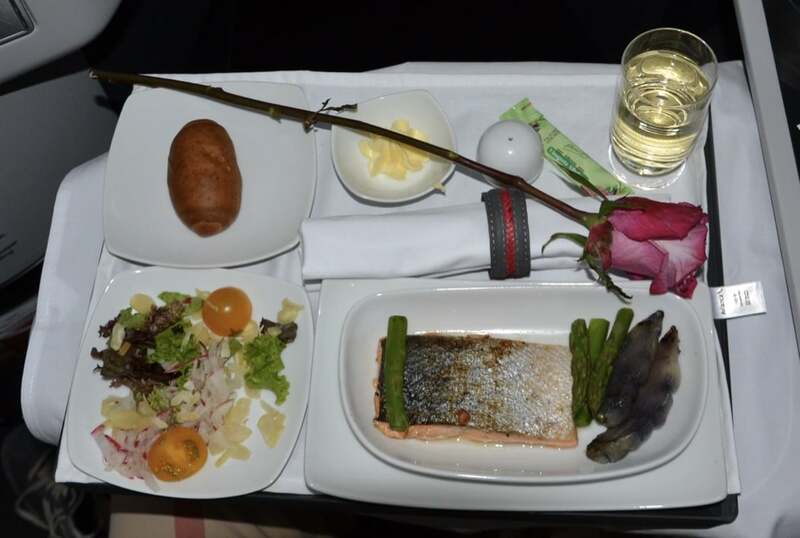 Whilst we usually do not eat on late-night flights, we decided to try a couple of items on the menu. Meals were served from a trolley with salad and main course served in one go, then a further trolley run offering cheeses, dessert and a range of after dinner liqueurs. 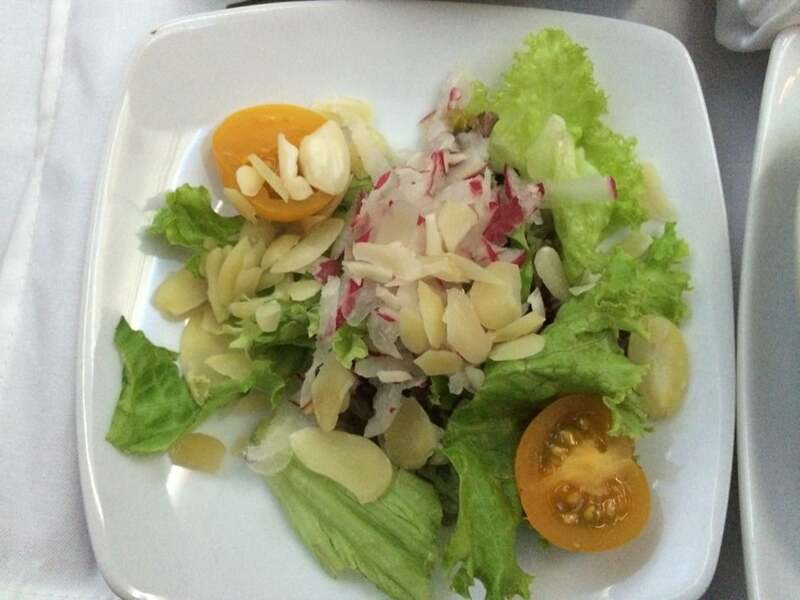 The starter of radish, cherry tomato and almond salad was crisp and light. A good way to start the meal. 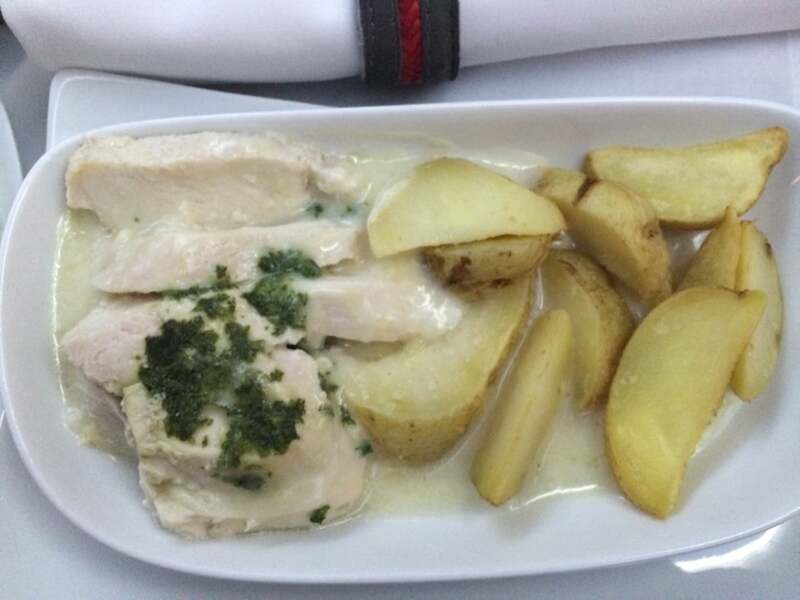 Main course options included baked chicken in parmesan cheese sauce with roasted potatoes or baked fish with black olive sauce, served with with grilled vegetables. 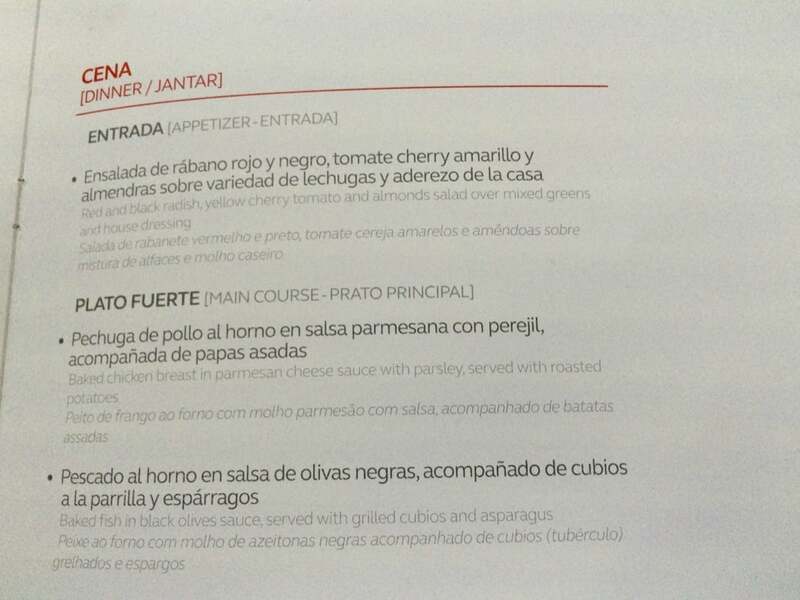 These were cooked well, if somewhat unimaginative options. 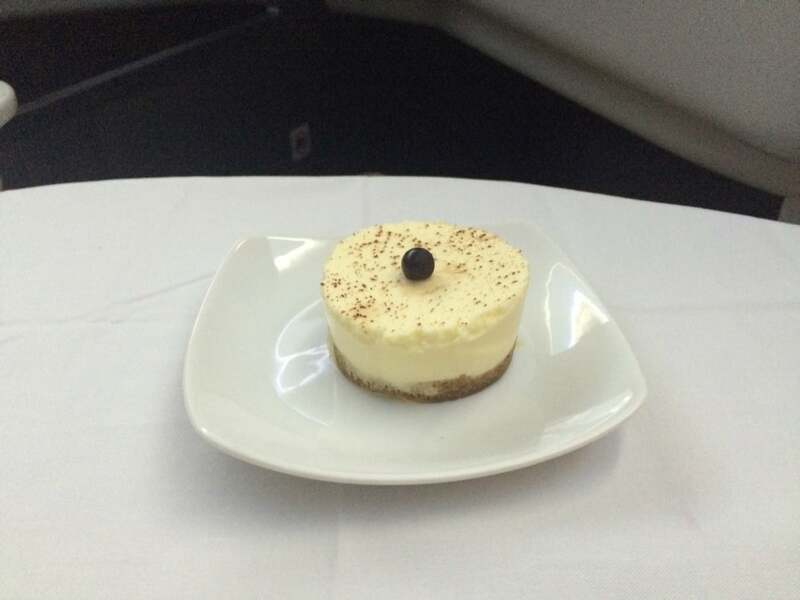 Dessert was tiramisu – we only took a photo of this so cannot comment on the quality. As soon as dinner had finished, we reclined the seats to fully flat and stretched out under the soft duvet. Using the eye-mask from the amenity kit (lights were not dimmed at this point as the meal service was ongoing) and thanks to the cool air in the cabin, we both slept well and found the seat very comfortable. All too soon, the captain announced that we had started our descent into Santiago and the flight was over. Unfortunately, there was no second service as it would have been nice to be woken with a warm towel and glass of orange juice. 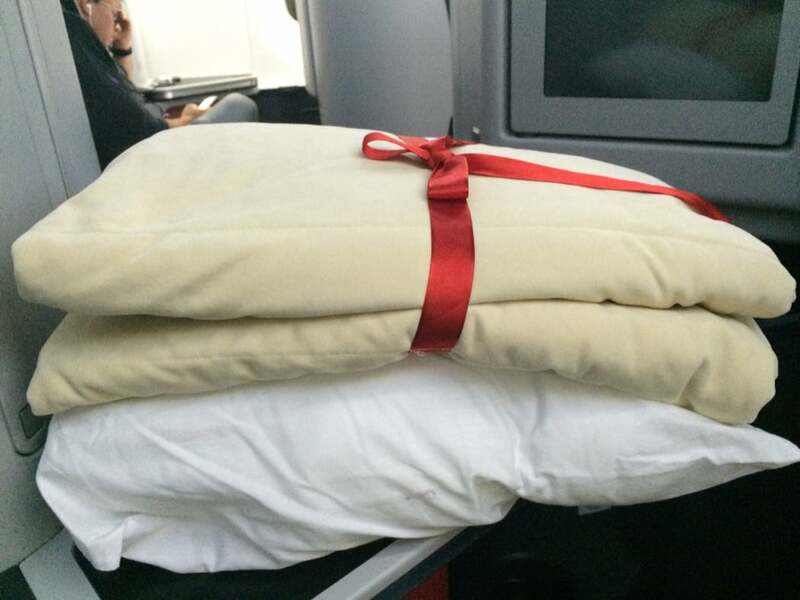 However, the flight was under 6 hours long, so the additional time to sleep was appreciated. 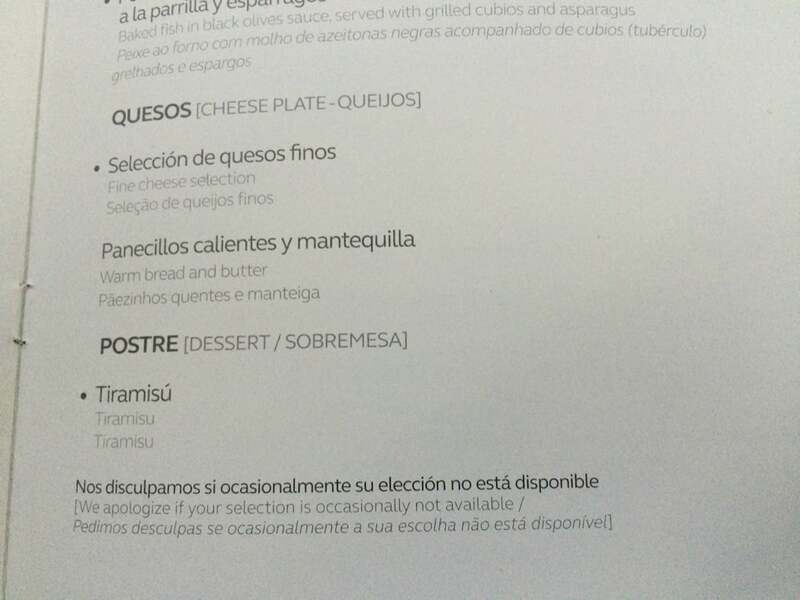 Avianca business on the 787 was a fine way to fly overnight but was not a special business class experience. On a par with most European mid-haul service but not up to the best Asian standards. The service was efficient but not particularly warm or friendly. However, the food was acceptable and the seat comfortable. 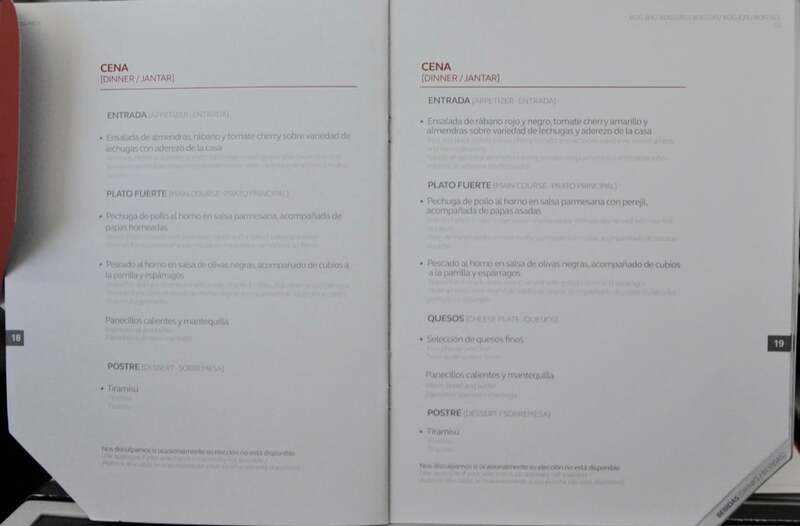 For comparison, you can read my other Avianca Airways Business Class flight reviews. You may be also interested in my airline comparisons including Avianca Vs LATAM, the best business class airline in South America, Business Class on United Vs Delta Vs American Airlines, top 10 Best Business Class airlines for long haul travel and the best airlines to travel to Europe in Business Class.